Legend has it that the lost city of gold could be anywhere in the Americas. You just have to look for it. 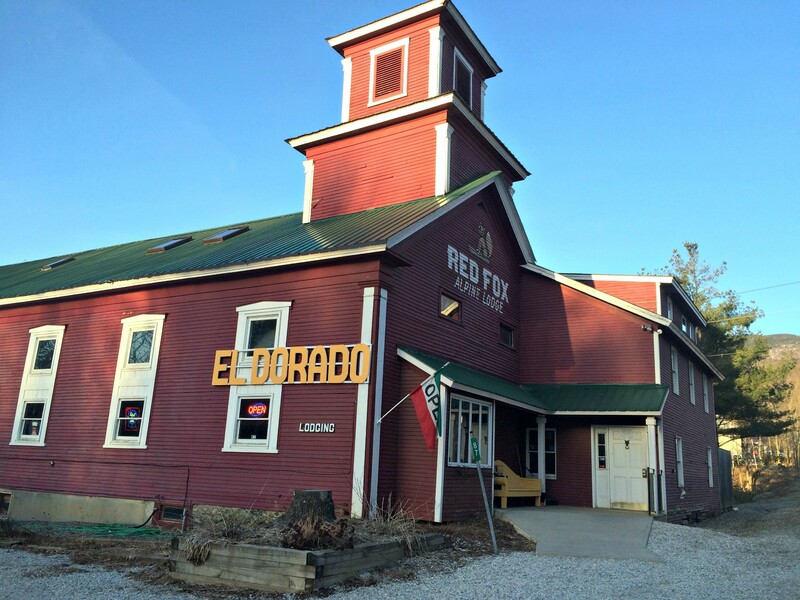 I discovered El Dorado deep in Jeffersonville, with the help of my GPS. It's inside the former Red Fox Alpine Lodge, a former skier's dorm, in turn repurposed from a historic church in the 1960s. The quiet bar within still has the worn feel of après-ski ragers past. Locals might have already discovered the walls aren't gilt; we were the only diners for most of our Sunday evening meal. Still, the server seemed overwhelmed and apologetic at first. Those chips do not think highly of you. She seemed to calm down after she delivered a big bowl of house chips. "Crack chips," she says regulars call them. They've proved to be so addictive that, while the first basket is free, additional ones come at a fee. Have you ever felt like the food you were eating was judging you? These chips seemed to leer at me, calling me stupid, telling me I wouldn't be able to resist them. Why? The thin, warm fried tortillas weren't just covered in a heavy-handed shower of salt and a bit of cumin. There were sugar crystals, too. Big ones. 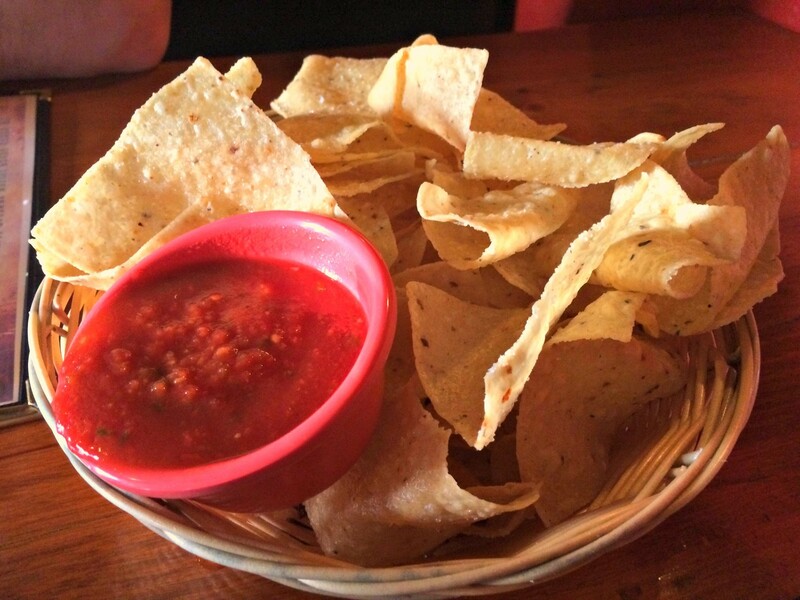 I felt bullied by those chips, but I ate them compulsively nonetheless, dipping them in the mostly vapid salsa.We didn't approve of each other, but they had won. El Dorado inherited the building from another Mex-style eatery, El Zorro.The previous tenant billed itself as serving 'Ver-Mexican' cuisine. At El Dorado, the description is "Mexican-inspired pub fare." That means there are chicken fingers, but they're coated in blue corn. In place of mozzarella sticks, pepper jack is breaded and fried, then served with prickly pear barbecue sauce. 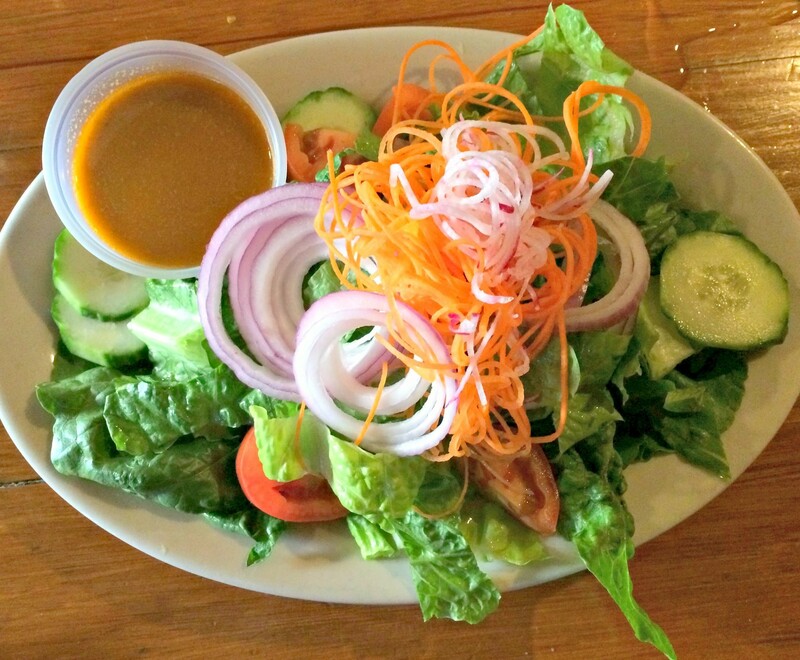 Even the house salad has a touch of the other border. Jicama promised on the menu didn't make it onto the plate, but in its place, spiralized carrots and radishes were arranged in a lofty coif atop basic lettuce, tomato, onion and cucumber. But the maple-chipotle dressing was far from basic. Throughout the meal, I couldn't decide whether the aggressive combination of sweetness and smoke was disgusting or enticing. File it under "Not for everyone." Entrées are divided into sandwiches, traditional Tex-Mex dishes such as fajitas and burritos, and house specials. 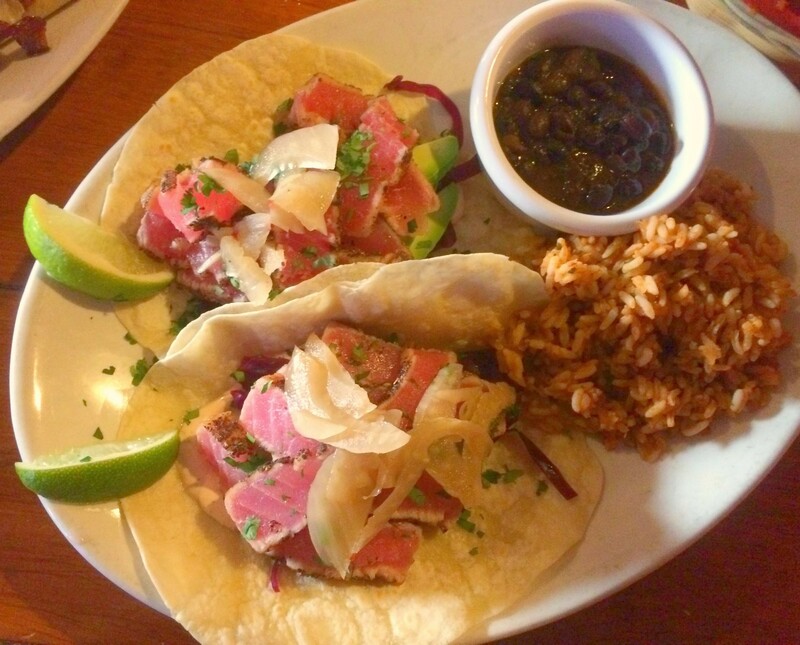 The last is composed mostly of different varieties of fish tacos. I have a soft spot for tuna tartare, so tuna tacos seemed like a natural choice over mahi-mahi or unidentified, tempura-fried stuff. I was initially turned off by the chunks of yellow vegetable on top of the meat. But the orange-pickled fennel was a sweet, tangy star of the wrap. It unapologetically went All About Eve on the mushy, pepper-crusted tuna that all but disappeared in each bite. Chipotle crema contributed a nice slather of creamy heat, but avocados enhanced the overall baby-food texture. Red cabbage and the aforementioned fennel helped, but not quite enough. The sides, though, were especially well prepared. The silken black beans were so rich, I initially guessed some cheese had been added to the mix. The rice was soft and cumin scented. 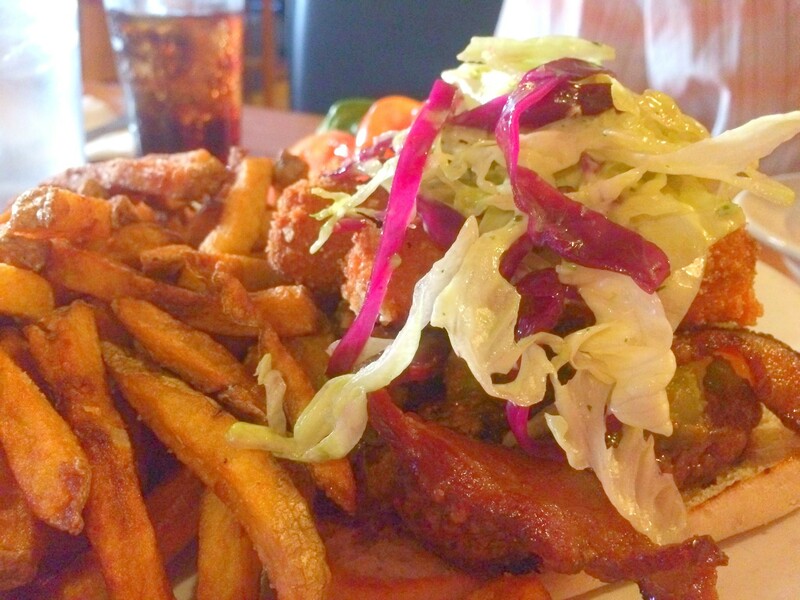 The tangy slaw returned as a towering topper on the El Dorado burger. But everything is tall about the overstuffed signature burger, starting with a home base of buttered, toasted ciabatta. The beef patty was rubbed in the same pepper mix as the tuna, and cooked medium rather than my requested medium well. Just above the beef, green chiles, which I'd hoped would be a main attraction, all but disappeared under the weight of the foods above it. That included the slaw, but also thick, not-quite-crispy slabs of bacon, and fried wands of jack cheese. In a few bites, even some not-quite-crisp-enough fries tagged along. This sounds like a potential recipe for disaster, but except for the near absence of the chiles, they all worked well in unison. Most surprising, my hands remained perfectly clean when I was done biting in. I've had far less complicated burgers that were infinitely sloppier. I took home half of both the burger and taco plates. Perhaps serving less over-the-top portions could bring down the high prices. And maybe then I'd have more room for those evil, wonderful chips.